Solar Panels are made up of photovoltaic (PV) cells, which convert sunlight into direct current (DC) electricity, this is sent to the Solar Inverter which changes the current from DC to AC which is basically usable electricity. The Vision 60M is constructed of Glass-Glass Laminate in a black anodised aluminium frame & consists of Monocrystalline high power solar cells, the solar panel is super lightweight thanks to its 2mm thick glass. The panel provides exceptionally reliable yield rates & has 100 % protection against potential induced degradation (PID). Extremely durable, long-lasting and resilient product. High-yield with exceptionally reliable yield rates. Resistant against ammonia, hail and salt mist. 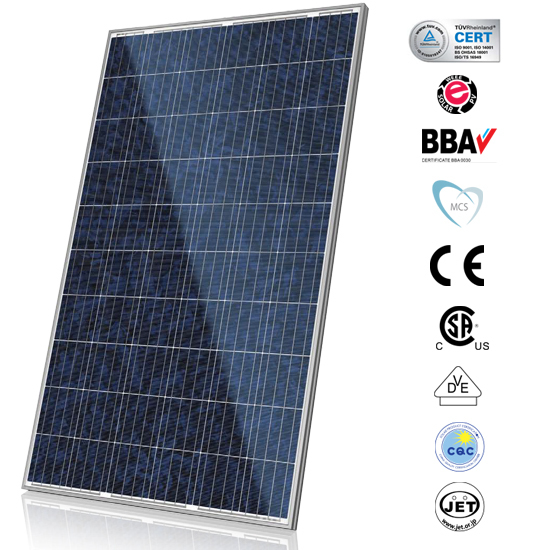 The Vision 60P is constructed of Glass-Glass Laminate in a black anodised aluminium frame & consists of Polycrystalline solar cells, the solar panel is super lightweight thanks to its 2mm thick glass. The panel provides exceptionally reliable yield rates & has 100 % protection against potential induced degradation (PID). The high quality and reliability of Canadian Solar’s modules are backed by their 15 years experience in Solar Panel manufacturing, well-engineered module design, stringent BOM quality testing, an automated manufacturing process and 100% EL testing. Durable, long-lasting and extreme weather resilient product. Excellent module efficiency, with reliable high yield rates. 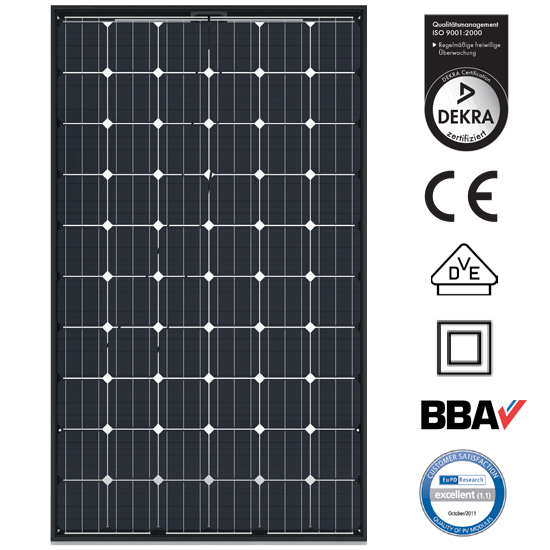 ALL-BLACK CS6K-M Solar Panel modules are equipped with dark mono-crystalline cells, dark coloured back-sheet and a black anodised aluminium alloy frame to enhance the aesthetic appearance. This Solar Panel can help to improve the aesthetics of any rooftop. Durable, long-lasting and extreme weather resistant product. FIND OUT MORE ABOUT OUR SOLAR PANELS!